Instead of changing your wardrobe from season to season, I do believe that you are more willing to create the closet that suitable for all seasons which is not only able to save a great fortune for you but also help you get rid of the trouble of concerning about changing it. I’m here to tell you no matter the fashion jewelry or the stylish outfit, wearing all the seasons is possible. The midi skirt is absolutely the hero piece for every season, pair with the basic tee or tank tucked in the hot summer so as to help you appear cool under the heat sun. In autumn, opt for long sleeve in heavier fabric is a wise choice to match with the midi skit which is seen as a good friend in cool weather. During the cold winter, all you need is just put on your outerwear, boots and scarf with the midi skit. In addition, the crop lace top is another wise idea to wear season to season, white work well in every season; pair a lace top with the leather outerwear for a feminine touch during the winter is great too. Besides, do you think match the oversized shirt with the jean short and rolls up the sleeve is amazing? Of course yes! Cover a piece of tippet outside the oversized shirt is suitable for cool. 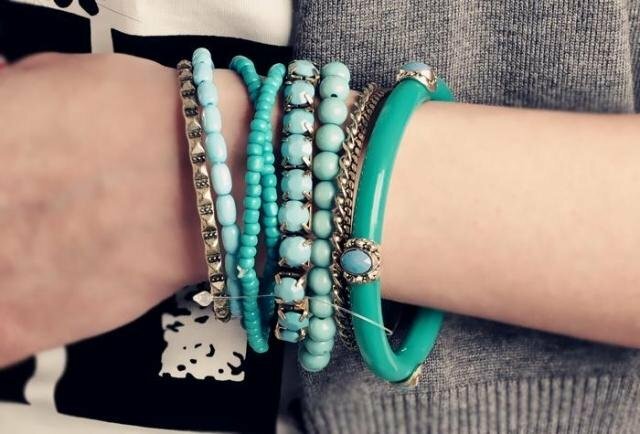 When come up to the unchangeable wardrobe from season to season, the stunning jewelry should be mention as well. 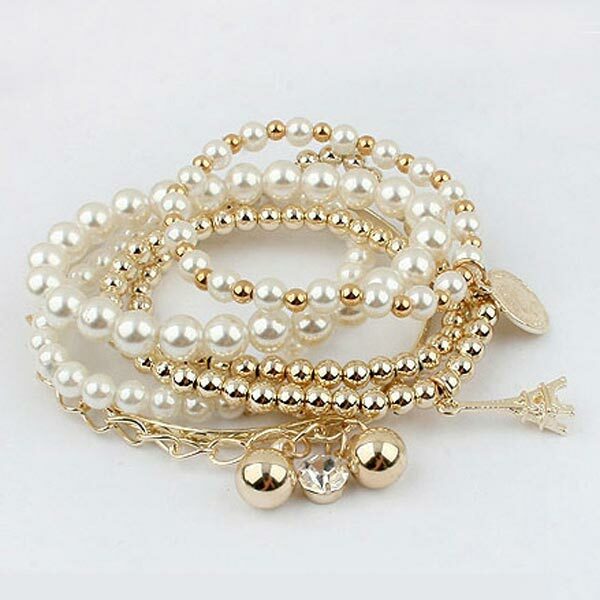 The beads and pearls are the prevailing trends in the fashion world, a Multilayer Pearl Beads Bracelet should be your sake, the multilayer jewelry is one of the hottest items this season and moreover, it does work for every season. Or a piece of necklace wearing outsider your cloth is also perfect choice.